ContraxSuite has a wide range of user types across our various legal service delivery customers. Relevant users include legal data scientists, power users in legal information technology, professional review teams at legal process outsourcers, contract review units in corporate legal departments, as well as associates and partners in law firms. 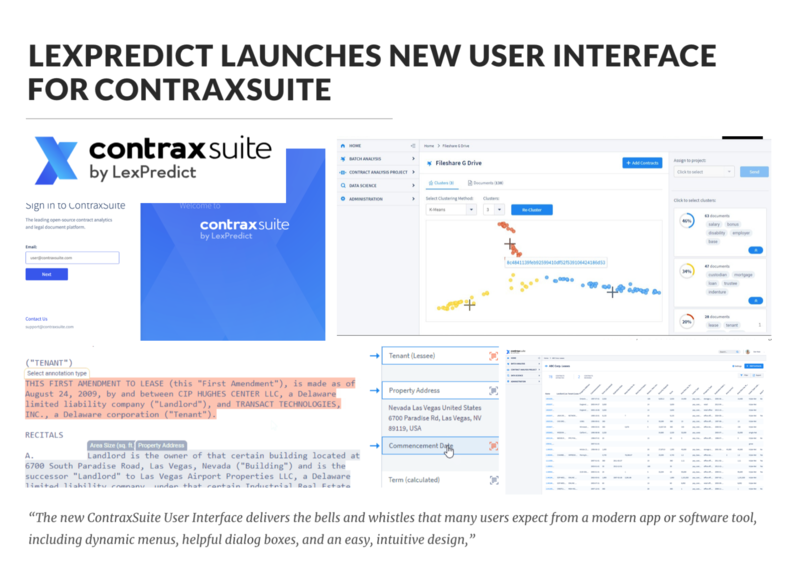 While the existing ContraxSuite user interface will still serve as the interface for our data scientist community, the new UI is designed to serve the needs of a much broader community of users.